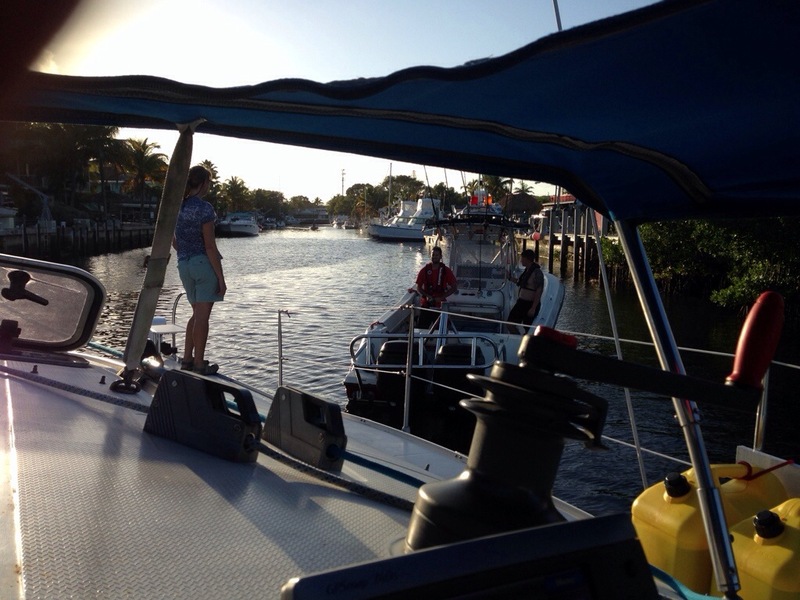 After a nice month in Coconut Grove, we left dock and headed towards John Pennekamp State Park. 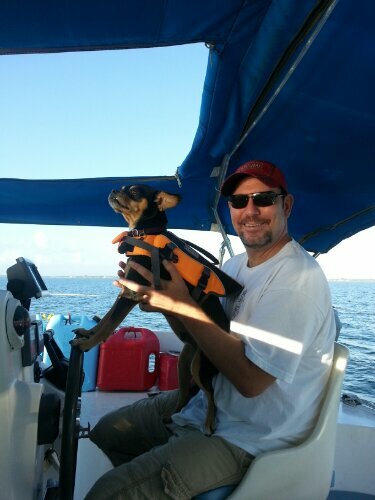 We had a great day sailing, and introduced Max to his life jacket, dolphins, and waves. We decided to tackle the shallow creek leading to Largo Sound at high tide (which means waiting until Sun am), so we found a dock for the night. Only problem is today’s low tide was a negative low and the channel to the dock is also shallow. We were doing fine, creeping along slowly until two things happened. The first thing was the powerboat jerk who decided to pass us in the channel at 25 knots, throwing up a wake that slammed us on the bottom (don’t worry we recovered quickly). The second event involved finding the only rock in the marina channel with our port keel. We had just bumped when up behind us came a Towboat US guy coming back from an afternoon out with his family. He graciously offered to give us a quick pull off, and within two minutes we were back on track and headed for dock. 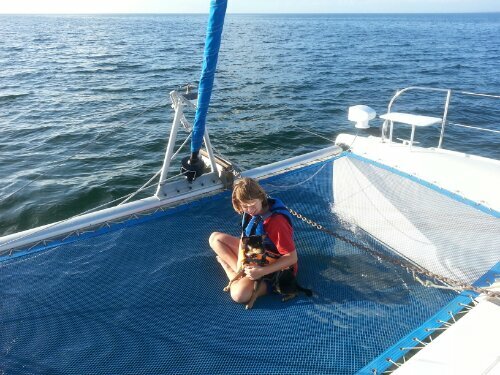 Why does low tide have to inconveniently come at the end of a nice day of sailing? Alls well tonight, after a lovely dinner by tiki torch with some friends of Andy’s. Tomorrow it’s creek tackling time.